Gilded Age opulent mansions and grand embassies line the streets of Washington DC's most fashionable neighborhood, Dupont Circle. 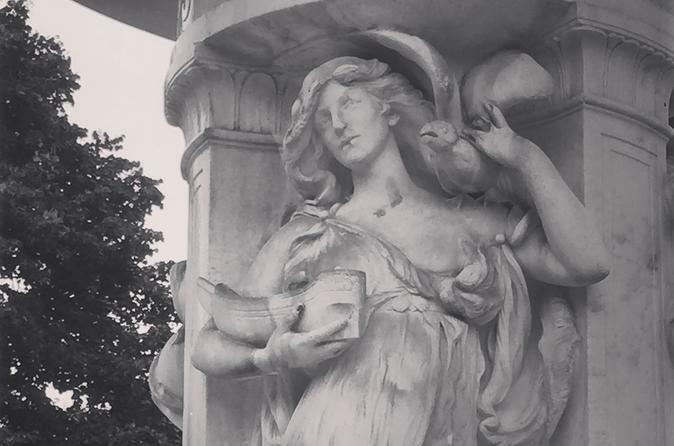 Walk along Embassy Row and see some of the city's most impressive properties, spanning the architectural gamut from Neo-classical to Beaux-Arts to Queen Anne and more. Hear the stories and scandals that helped shape the Nation behind the doors of the District's most extravagant homes. Gilded Age opulent mansions and grand embassies line the streets of Washington DC's most fashionable neighborhood, Dupont Circle. Walk along Embassy Row and see some of the city's most impressive properties, spanning the architectural gamut from Neo-classical to Beaux-Arts to Queen Anne and more. Hear the stories and scandals that helped shape the Nation behind the doors of the District's most extravagant homes. The tour takes about two hours and covers approximately two miles of walking.